Ios reveals its most peaceful and picturesque face, giving us many reasons to re-discover it on September, when the party mood has given way to calmness and relaxation. Amphitheatrically set above Ios’ port, Chora is the capital of the island and is one of the best preserved samples of Cycladic architecture. 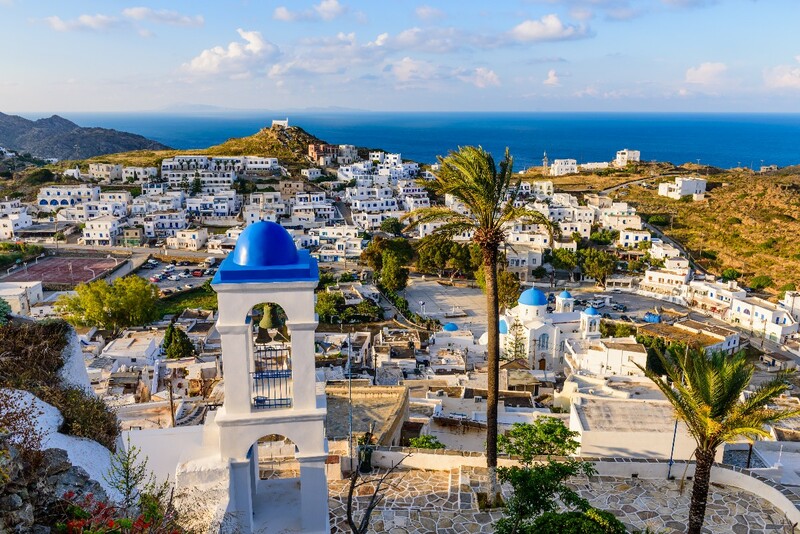 Insurmountably scenic, full of charming alleys, cobbled narrow streets, whitewashed houses and small squares, Ios’ Chora will enchant you with an authentic Cycladic beauty. With more than 35 magnificent beaches with golden sand and turquoise waters, Ios is considered one of the ten islands with the best beaches in the Mediterranean. 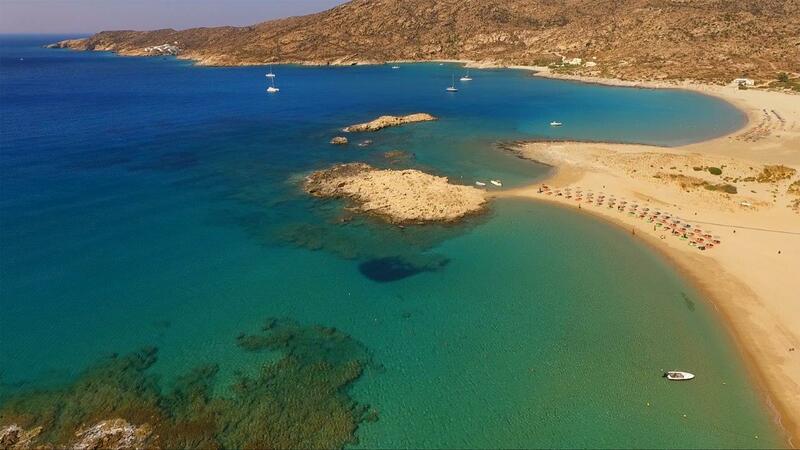 Discover the peaceful famous of the famous for its crystal clear blue waters, awarded and fully organized, Mylopotas beach. Also, visit Agia Theodoti, Psathi and Magganari. 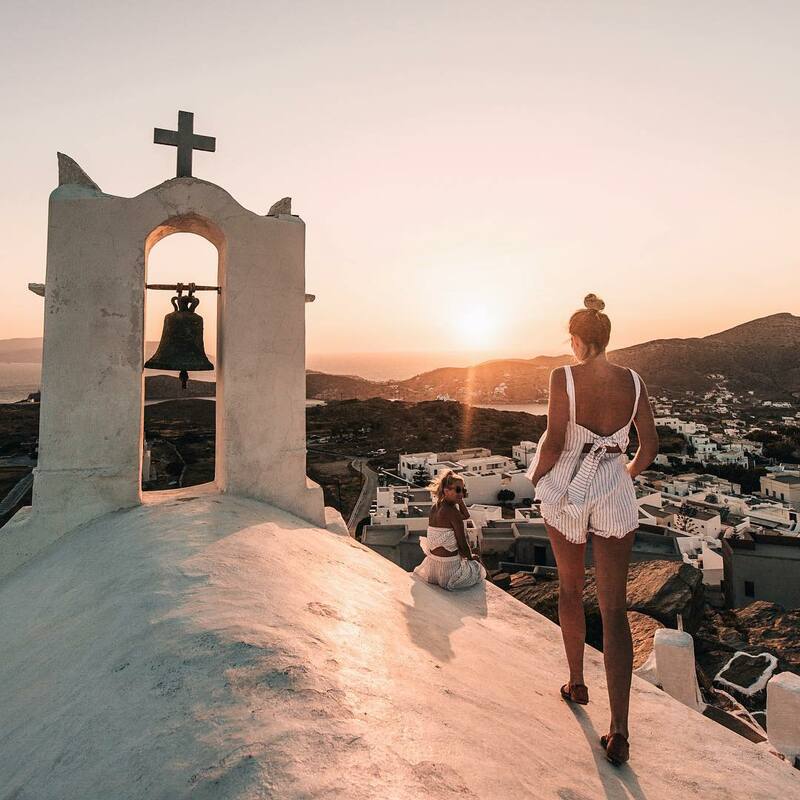 One of the most typical images of Ios Chora is Panagia Gremiotissa church, with the three tiny chapels on the hill, the phoenix, the amazing views to the Aegean and the breathtaking sunsets. Also, very rich findings from the prehistoric until the Roman times can be seen at the Archaelogical Museum of Chora near the Town Hall. Going up to the hill, at the east part of Chora, photograph one of the most beautiful sights of Ios, the old whitewashed windmills. End up to the Open Theatre of Odysseas Elytis, an architectural masterpiece from stone and marble, built in one of the most favorite spots of the poet, offering spectacular views. Built above the famous Mylopotas bay, Ios Palace Hotel & Spa is undoubtedly the best place to stay on the island. This year, Ios Palace gives us one more reason to go on a late-summer escape to Homer’s island. We discover our private oasis at one of the 60 minimal rooms and suites of Ios Palace, totally harmonized with the local Cycladic architecture, while we read the lyrics of Greek poets on the walls. Then, we leave the serenity of our room behind to dive into one of the three gorgeous pools of our hotel, to enjoy a refreshing cocktail at Margarita Bar, relax at the comfortable sun-beds at Five Senses Bar and enrich our culinary knowledge of the Greek and Cycladic tastes at Tomatini Restaurant. We do not miss to visit the spa and gym with the most gorgeous sea views, both operated by Holmes Place.